In real life, Gerda Nicolson is gentle and feminine, a far cry from her image as Wentworth's governor [...]. 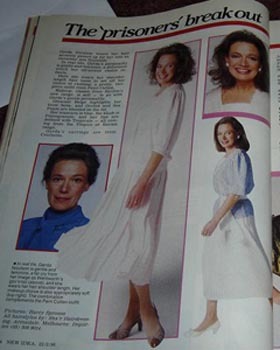 On December 7th 1985, this article was printed in the Australian television magazine TV Week. It concerns the annual Television Society of Australia's awards night at the Southern Cross Hotel in Melbourne. Prisoner received two awards (Penguins). 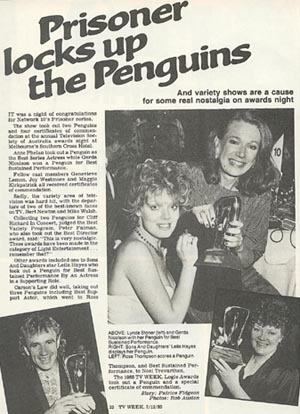 The award for best series actress was presented to Anne Phelan, while Gerda won a Penguin for 'Best Sustained Performance'. Gerda Nicolson was born on November 11, 1937 in Hobart, Tasmania. Her parents were of the theatrical profession, but still Gerda started her career as an architect. 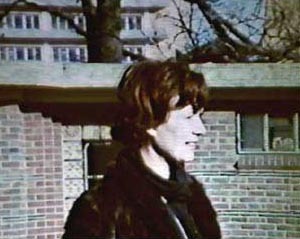 Between 1958 and 1961 she worked as a draughtsperson in London, but returned to Australia the latter year. There, she became involved in amateur dramatics. Her talent was soon discovered and already in 1962 she turned professional when she joined the ensemble of the stage play A Woman in a Dressing Gown. 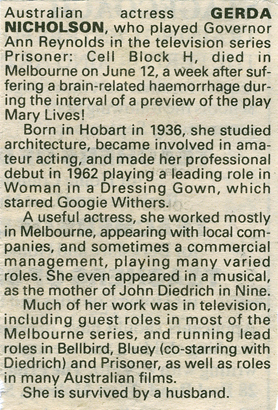 From there, she moved on to play with the Melbourne Theatrical Company. Thoughout her career, she would be based in Melbourne. She married actor Julius Szappanos, but they did not have any children together. Instead, Gerda focused on her profession as an actor and became one of Australia's most beloved actresses, with appearences in Bellbird, Bluey and Prisoner amongst other work in television and on stage. An amusing piece of trivia that always is told when Gerda is concerned regards the filming of the episodes in Prisoner where she and Elspeth Ballyntine act trapped in a misused old building. In one of those scenes, a mouse was to run across Gerda's legs, but she was too afraid, so a stuntwoman had to be called in. But when it turned out the stuntwoman was even more afraid of mice, Gerda had to brace herself and do the scene anyway. 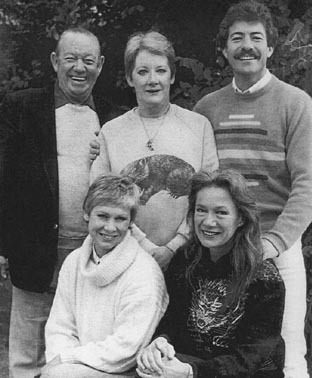 In the early 1990s, Gerda was a well-known face among Australian actors, and she was very well respected. She made a few screen appearences in 1990 and 1991, but mainly kept to the stage. During a preview of the stage play Mary Lives! in the summer of 1992, Gerda suddenly and unannounced, collapsed in her dressing room during an interval. She was quickly brought to hospital, but she stayed unconcious for a week and then she passed away on June 12. She had suffered a brain-related haemorrhage - a stroke - which so needlessly ended her life. Her husband, Mr. Julius Szappanos, has now survived her for thirteen years, but celebrates her memory yearly when he hands out the prestigious 'Gerda Nicolson Award for an Emerging Actress', at The Green Room Awards ceremony in Melbourne, to one of Australia's newfound female actors. I always admired Gerda's serenity. She was an advocate of meditation and had a very spiritual approach to life. I think she may have been a vegitarian and certainly had a very healthy lifestyle - so her sudden death came as a huge shock. I had great regard for her professionally and she was highly respected in the Industry. Gerda was a very popular member of the cast, however I did not socialise with her very much. I think Elspeth Ballyntine was a friend though. Gerda came into the show when my workload was at its greatest and all I wanted was to get away from Prisoner in my spare time. [...] I have no contact with her family. A party during the production of Prisoner. 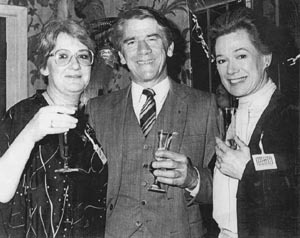 From left to right: Anne Phelan, Les Dayman and Gerda Nicolson. During another party for the people involved in Prisoner, Gerda takes a drink and has a laugh with Louise Siversen, who played the manic Lou Kelly in the series. Many of the Prisoner-cast were friends off the set. Here is portion of the ensemble during the later years. Gerda sits next to good friend Elspeth Ballantyne. In the back row are Maurie Fields, Anne Phelan and Gregory Ross. On June 12, 1992, Gerda Nicolson passed away a week after having suffered a stroke (see above) in her theatre dressing room. Contrary to the clipping, Gerda was born in 1937 and not 1936. This arbituary was printed in a contemporary news magazine. When Prisoner had reached episode 400, a great party was held to celebrate the occasion. 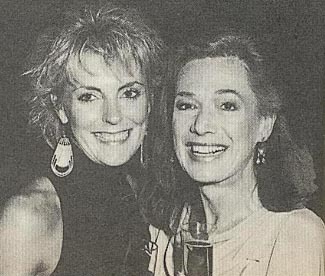 However, as Val Lehman is not in the picture and Patsy King is (she had a brief comeback in the early 400s), it is fair to suspect that the party took place some time after the episode was filmed, perhaps in connection with the airing. From left to right, back row: Judy McBurney (Pixie Mason), Wendy Playfair (Minnie Donovan), Tina Bursill (Sonia Stevens), Caroline Gillmer (Helen Smart), Elspeth Ballantyne (Meg Morris), Gerda Nicolson (Ann Reynolds) and Reylene Pearce (Phyllis Hunt). From left to right, front row: Betty Bobbitt (Judy Bryant), Babs McMillan (Cass Parker), Alan Hopgood (Wally Wallace), Sheila Florance (Lizzie Birdsworth), Patsy King (Erica Davidson) and Maxine Klibingaitis (Bobbie Mitchell). During Gerda's time in Bluey, a football tournament was organised between different TV-companies. Here, Gerda is seen watching one of the battles.